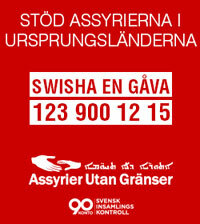 Every now and then you hear a new theory by the so called Arameans about the origin of the name of Syria; their goal is to link it to anything but Assyria! One of those theories is their claim that the name of Syria was derived from the coastal Phoenician city of Sur (a city located in south Lebanon). They base their theory on the fact that Sur was a great export Phoenician port, and was well known to the Greeks; hence the Greeks named the whole Middle East as Syria because of the city Sur! 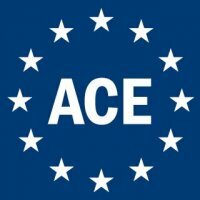 Their approach is very cunning, where they throw in few facts, and then jump to a logical conclusion that sounds quite convincing to a person who doesn’t know much about history. However in the process they knowingly or unknowingly hide certain very important facts! And either way that makes them look bad, because if it was done intentionally, then they must have had bad intentions, and if it was done unintentionally then that shows their lack of knowledge. Sure the Phoenicians called their city as Sur, but the missing fact that those so called Arameans don’t tell their people is that the Greeks didn’t know Sur by that name, but rather by the name of Tyre, and that throws a monkey wrench in their theory! Furthermore, why would the Greeks call the whole inland region (i.e. the whole Middle East) as Syria, when they already named the coastal area as Phoenicia? 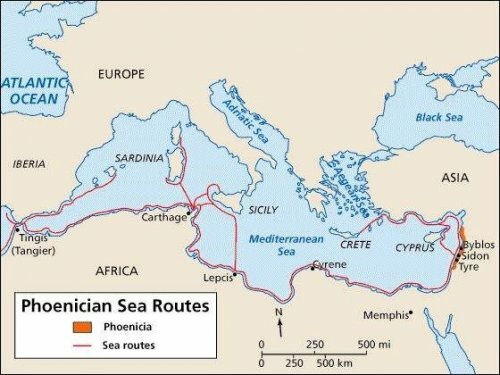 It doesn’t make sense that the Greeks named the coastal area as Phoenicia, and then named the whole Middle East from the Mediterranean Sea in the west, to the Zagaros Mountains in the east, and from the Toros Mountains in the north to the Arabian Desert in the south, as Syria! Noting that there was an Empire that ruled over this same region which was called Assyria! So wouldn’t it make more sense that the name of Assyria be derived from the name of an Empire that ruled that same region, rather than from a coastal city called Tyre which didn’t have any influence inland? The other important fact was that when Alexander conquered the Persians territories, the city of Tyre (Sur) revolted against him, so he laid siege to it and conquered bot the mainland city of Tyre and the small island of Tyre which faced the city in the Mediterranean Sea. Alexander destroyed the city and island of Tyre, and brutally massacred its people. Now here is the six million dollar question: Why would Alexander want to name the whole Middle East after a name of a city that revolted against him? The answer is very simple, Alexander wouldn’t want to glorify a city that revolted against him, hence he would never accept to name the whole region after the name of Tyre! So the whole theory that the Greeks named Syria after the name of the city of Tyre is meaningless! Going back to Sur, history tells us that it was along the shores of Sur that the Phoenicians discovered the purple color from the mucus secretions of a snail inside the Murex shell, they realized its potential and built a prosperous international trade based on trading with fabric died with that purple color, they charged high prices that only royalty and the noble class could afford it. 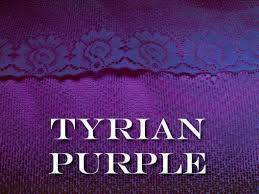 Ironically that purple color was called Tyrian Purple, notice that it wasn’t called Surian Purple, simply because the Greeks didn’t call it as such. 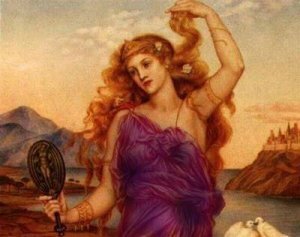 As you see if the theory that the name of Syria was derived from the name of the city Sur because of the Greeks, then Syria’s name would have been Tyria, simply because that is what the Greeks called Sur! 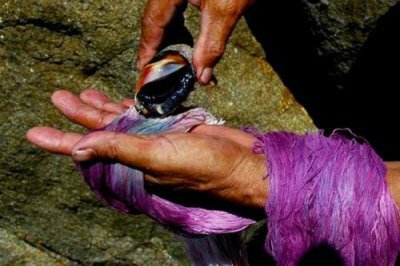 By the way the Turkish name for the purple color is Mor, and that seems to be derived from the name of Murex shell from which the color is produced. In Arabic this color is called as Urjuwani, and in Assyrian it is called as Orguwono/Arguwana. 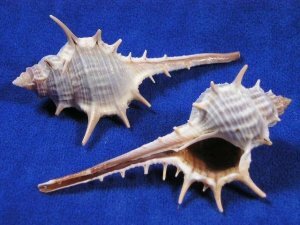 Below are few photos of the Murex shell and the Tyrian Purple color that the Phoenicians discovered. Notice the location of the city Tyre in the map.